The Large Art Company has completed one of the most important sculpture displays in the United States. 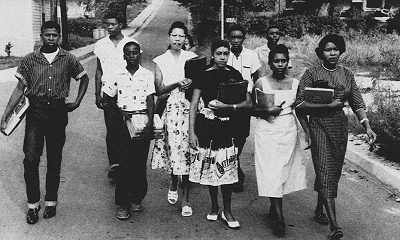 To commemorate the 50-year anniversary of the desegregation of southern public schools, the town of Clinton Tennessee constructed a national historic museum that features as its centerpiece a monument consisting of 12 life-size sculptures of the first African American high schools students to attend the previously all-white southern schools. 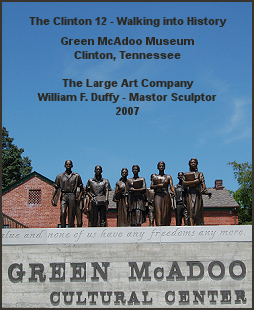 The museum is called the Green McAdoo Cultural Center & Museum and recounts the story of how these young people changed history. The sculptures depict the 12 children as they made their historic walk from their neighborhood to the Clinton High School. 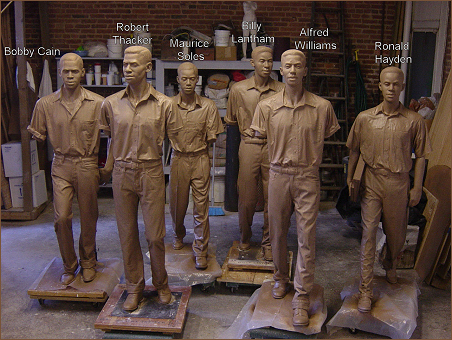 They were cast and finished by New Arts Foundry in Baltimore, Maryland. "We are very proud to have been a part of this historic project," said Richard Rist, owner of The Large Art Company. This is one of the most important national monuments in the United States. Not only is this project important in terms of its civil rights history, but it is also one of the largest figurative sculpture displays in the country. The list of artists or art companies that can claim a piece in a museum is very short. And the list of artists that can claim a centerpiece to a museum is only a small fraction of those and includes many household names. On May 17, 2007 that short list now includes The Large Art Company. We are honored and humbled by the entire experience," Mr. Rist continued. Below you can see the entire process from beginning to end. 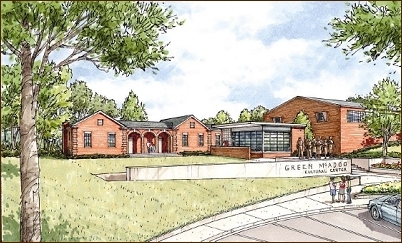 Artist rendering of the Green McAdoo Museum. Sculptures depicted in front above the name. To learn more about the museum feel free to visit the web site for the Green McAdoo Cultural center by clicking here. Time Life magazine picture of the Clinton 12 first day walking to school. We became completely immersed in this project. We studied dozens of photographs and video footage taken at the time of these historic events. We made several trips to Clinton Tennessee to learn the history from the people directly involved. We were able to meet 11 of the Clinton 12 personally. We learned that not everyone reacted to these events the same way. Some were afraid, some were proud and determined, some were angry and some were ambivalent. We would eventually portray this range of emotions in bronze. 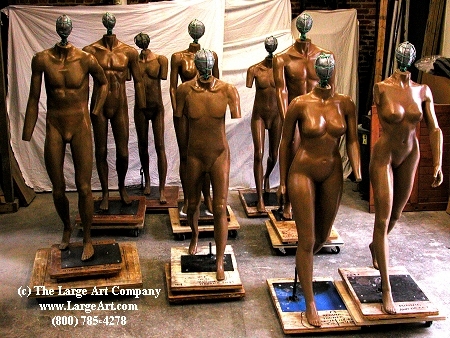 Life-size mannequins are used as the underpinning or frame of the sculpture called an armature. The mannequins are cut apart and reassembled for the perfect anatomy of the positions required for the sculpture. Basic clay heads are assembled with the mannequins for scale and proportions. The facial portraits are complete, the bodies are positioned and clothing sculpted out. They are ready for molds.